NEBOSH (National Examination Board in Occupational Safety and Health) is a charitable organisation, which offers a comprehensive range of globally-recognised qualifications designed to meet the health, safety and environmental management needs of all places of work. It offers a comprehensive range of globally-recognised qualifications designed to meet the health, safety and environmental management needs of all places of work. Courses leading to NEBOSH qualifications attract around 50,000 candidates annually and are offered by over 620 course providers, with exams taken in over 120 countries around the world. In 2014, it was awarded Britain’s highest accolade for trade success, the Queen’s Award for Enterprise, for our “outstanding achievement” in International Trade. 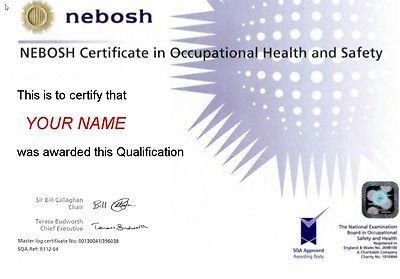 NEBOSH qualifications are recognised by the relevant professional membership bodies including the Institution of Occupational Safety and Health (IOSH), International Institute of Risk & Safety Management (IIRSM) and Institute of Environmental Management & Assessment (IEMA). In addition, NEBOSH examinations and assessments are set by its professionally qualified staff assisted by external examiners; most of whom are Chartered Safety and Health Practitioners or Chartered Environmentalists operating within industry, the public sector or in enforcement. In addition, NEBOSH is also an ISO 9001:2015 and ISO 14001:2015 certified organisation. NEBOSH offers three categories of qualifications – Award, Certificate and Diploma – which are taken by more than 35,000 people every year. In addition, it also now offers a range of Masters degrees, through a partnership with the University of Hull. NEBOSH Health, Safety and Environment in the Process Industries Qualification. As well as in English, the NEBOSH Health and Safety at Work Qualification can be taken in five other languages, French, Spanish, Arabic, Mandarin Chinese and Russian. NEBOSH’s Certificate-level qualifications give a good foundation in health and safety for managers, supervisors and staff with health and safety among their day to day responsibilities. These qualifications are widely taken as a first step towards a career in health and safety and are accepted by IOSH – the Institution of Occupational Safety and Health – in meeting the academic requirements for Technical Membership of IOSH (Tech IOSH). For those seeking a long-term career in occupational health and safety, Certificate level qualifications offer a progression route towards NEBOSH professional level Diplomas. NEBOSH HSE Certificate in Health and Safety Leadership Excellence. In this video Roxanne Woodiwiss a graduate with distinction gives her tips for passing the NEBOSH National General Certificate exam:. NEBOSH Diplomas are globally recognised qualifications aimed at professional health and safety advisors and environmental practitioners. Previous experience of health and safety is strongly recommended and entry requirements may be set by course providers. Completion of a NEBOSH Diploma provides an excellent foundation for further study. Diplomates are invited to the NEBOSH Graduation Ceremony, held at the University of Warwick. Family and friends are also able to attend to enjoy and celebrate your achievement. NEBOSH Diploma in Environmental Management. The University of Hull in partnership with NEBOSH are offering Masters Degrees by distance learning in Occupational Health, Safety and Environmental Management subjects. These qualifications are open to holders of a NEBOSH Diploma who wish to further their learning in Health and Safety and/or Environmental Management. They have been designed with an emphasis on flexibility for those people in full time work looking to complement their previous NEBOSH Diploma studies. Delivered through distance learning, these qualifications are ideal for both national and international candidates wishing to gain a Masters level qualification focussed on workplace-based research. 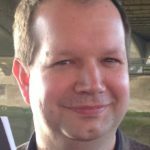 Jonathan Backhouse explains how to tackle the NEBOSH general certificate, giving tips on how to answer questions as well as useful resources for studying. Undertaking any exam can be daunting. For example, the NEBOSH General Certificate consists of two, two-hour exams as well as a practical workplace assignment to complete. The article will draw examples from the NEBOSH General certificate, however the principles covered will be beneficial for all NEBOSH certificate level exams, and for many other exams. Identify useful documents to be used when preparing for your examinations. Give an example of studying incorrect/out of date information. Outline common myths concerning NEBOSH exams. Explain the meaning of the command words used in certificate exams. Describe with a practical example what is required for each command word. The internet includes countless NEBOSH resources – some good, some bad and some quite ugly! The best staring place will be the NEBSOH website. Downloading the syllabus will give you an amazing insight into what is needed – likewise understanding the command words will help you with your exam preparation. The syllabus also includes links for reference material, which will be beneficial for the trainer and student. NGC Syllabus Guide November 2014– which includes mock exam papers. If you need to research a particular area on health and safety you are best focusing on the Health and Safety Executive’s (HSE’s) website. 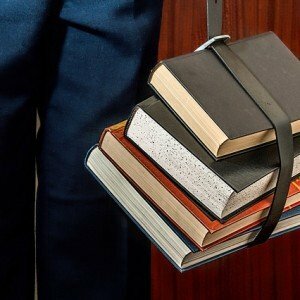 The book Essential Health and Safety Study Skills has been developed to help students study a range of health and safety qualifications including the NEBOSH General Certificate. It also provides information about study skills and preparing for an exam. An example of studying incorrect/out of date information. For example, hierarchy of control. This was once learned as ERIC PD (Eliminate, Reduce, Isolate, Control, PPE and Discipline), well Eric left the building many years ago! provide and ensure use of adequate personal protective equipment. then it is unlikely that you will gain the maximum marks available. Remember PPE is the last resort not Discipline! Another mistake (i.e. bending with your back straight) with regards to correct lifting techniques for manual handling, is often taught. You have to learn NEBOSH speak. The course is too hard. First there is no such thing as NEBOSH speak; you will have to learn terms and phrases that you may not be familiar with, like ‘hierarchy of control’. For the certificate exams (not just NEBOSH) you will need to know the difference between Identify, Outline, Describe, Explain and Give. Source: NEBOSH (2015) Guidance on command words used in learning outcomes and question papers – certificate qualifications. Ranges from about 10 – 20 cm in length and is curved/crescent in shape. Provides a range of vitamins and minerals. Provides fibre within a diet. N.B. You only need to have the number of answers per mark. For example, identify types of fruit offers 2 marks, so apple and orange would suffice. If you put extra answers that are similar (e.g. clementine, tangerine, satsuma) they may not get the full two marks. On your course you will, hopefully, get a chance to practice many exam questions. An important lesson is to find out how long the exam takes you. Make time to sit a whole mock paper and practice in exam conditions. Whilst your course book and other hand-outs from your trainer will be useful, the most important document you will be using is the syllabus (you can find a mock exam in the back of this document). If you can answer the learning outcomes, then you will be able to answer the exam questions and using the syllabus will ensure you are learning the correct information. NEBOSH Diplomas, General Certificate and Awards NEBOSH (National Examination Board in Occupational Safety and Health) is a charitable organisation, which offers a comprehensive range of globally-recognised qualifications designed to meet the health, safety and environmental management needs of all places of work. This doesn’t explain how they sit on the regulated qualifications framework adequately, and the levels associated with each, perhaps this could be revised? How does NEBOSH Certificate compare to a Level 4 RQF qualifications,for example, what about recognising prior learning from previous qualifications. A bit advertorial!